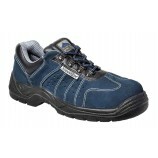 Men's safety shoes and trainers from top brands CAT, Cofra, Timberland, Click, Worksite and Sterling. 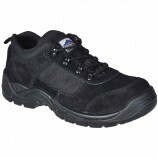 Our range of shoes and trainers is growing all the time and is ideal for those who don't want to wear traditional safety boots. 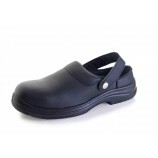 We offer a number of different styles of men's safety shoe in both plain leather or brogue styles. 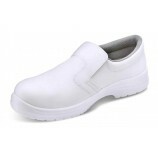 These are ideal for staff who need to wear them with office clothing or just need a smarter appearance than boots. This can often be warehouse supervisors, office or shop floor workers who occasionally go into higher risk areas, warehousemen, drivers and a whole host of other applications. 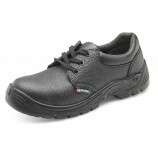 Our range of trainers is aimed at those who need toe protection but don't like the style of traditional safety shoes and boots. 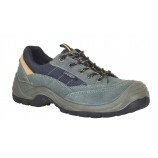 Some of the modern styles of safety trainers can easily pass for normal trainers or trail shoes. 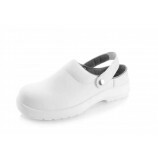 We've found trainers to be particularly popular with lots of tradesmen in the construction industry (plasterers, electricians, plumbers etc.) 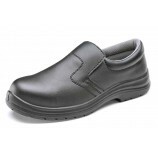 and also are really favoured by delivery drivers and couriers because they are so comfortable to drive in.